ATLANTA, Nov. 14, 2018 /PRNewswire/ -- Bounce, the nation's fastest-growing television network designed for African-American audiences, will premiere its first Bounce Original Movie, A Stone Cold Christmas, on Sunday, November 25 at 9:00 p.m. ET/8:00 p.m. CT. Bounce also announced a new original series Last Call, a half-hour situation comedy from Bobbcat Films and Roger Bobb, producer of Tyler Perry's House of Payne, Tyler Perry's Meet the Browns and Mann & Wife. Last Call will premiere on Bounce on Monday, Jan. 7, 2019. Warning! GuruFocus has detected 4 Warning Signs with NAS:SSP. Click here to check it out. 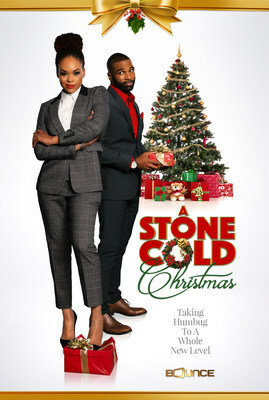 A twist on the Charles Dickens classic A Christmas Carol, A Stone Cold Christmas stars Demetria McKinney (Saints & Sinners, Tyler Perry's House of Payne) as Mia Stone, a shrewd businesswoman and a dreadful boss, who is more concerned about money than family and friends. When Mia finds herself face-to-face with the love of her life, she is forced to deal with past decisions if she has any chance of a future. Rounding out the cast are Andra Fuller (True to the Game, Black Jesus), Fred Williamson (Being Mary Jane, Hell Up in Harlem), Brittany Perry Russell (Sparkle, The Preacher's Son) and Lochlyn Munro (Riverdale, Scream, White Chicks). A Stone Cold Christmas will also air throughout the holiday season. Last Call stars Charles Malik Whitfield (Empire, If Loving You is Wrong) as Darius Knight, an ex-NFL player who - after discovering his business manager ran off with all his money - opens a comedy club in the backroom of his only remaining investment – a Baltimore bar named Last Call. The bar regulars are then forced to share their favorite watering hole with a parade of comics while Darius climbs out of debt. Principal cast members include T.C. Carson (Living Single), Carl Payne (Martin), Brely Evans (Being Mary Jane), Mishon Ratliff (Lincoln Heights) and Erica Page (Office Christmas Party). Season one will feature guest appearances from Towanda Braxton (Braxton Family Values), Pierre (How to Be a Player), Vanessa Fraction (Barbershop 2), Karlous Miller (Wild'N Out), David Otunga (WWE Raw) and Teresa "Top Notch" Nelson (Wild'N Out). Cynthia Bailey (Real Housewives of Atlanta) and Lisa Wu (Hollywood Divas) also make appearances on Last Call this season.